The United States-India Educational Foundation (USIEF) announces the opening of its annual competition for Fulbright-Nehru and other Fulbright fellowship opportunities for study, research, teaching and professional development in the United States. From Bhimrao Ambedkar University in Lucknow, Dr. Dutta was at the University of Maryland, College Park, during his Fulbright-Nehru tenure. Outstanding Indian students, academics, teachers, policy planners, administrators, and professionals in all disciplines are encouraged to apply. The India-U.S. bilateral Fulbright agreement has resulted in a significant increase in the number of scholarships awarded each year — USIEF expects to offer approximately 100 Fulbright-Nehru fellowships for Indians in 2014. Fellowship details are posted on the USIEF website www.usief.org.in. Application deadlines begin July 1, 2013. For more information, applicants may contact the USIEF offices in New Delhi, Chennai, Kolkata, or Mumbai. Fulbright-Nehru and other fellowships have, over the years, helped bring the people of India and the United States closer through educational exchanges. 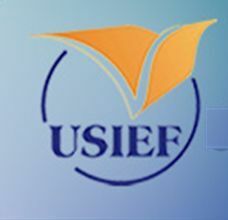 USIEF has administered over 18,000 grants for Indian and U.S. citizens. USIEF alumni have demonstrated strong leadership in all walks of life, including agriculture, arts, business, education, environment, humanities and social sciences, media, public health, and science and technology.